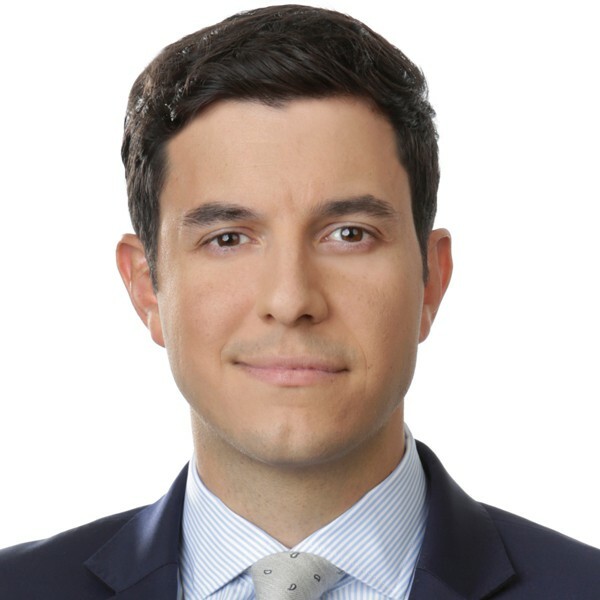 Tom Llamas is an Emmy award-winning journalist and anchor of ABC News “World News Tonight” Sunday, joining the network in September 2014 as an anchor and correspondent reporting for all ABC News programs and platforms. Prior to ABC News, Llamas was an investigative reporter and anchor of the 5pm newscast at WNBC-NBC4 in New York. He also served as a contributing correspondent at NBC News. While based in New York for 5 years, Llamas covered a wide range of major news stories including Hurricane Sandy, the Boston Marathon Bombings, Miracle on the Hudson, the Times Square Bomb Scare, Arizona Wildfires, and the Earthquake in Haiti. Llamas has been recognized with several awards and honors throughout his career, including Emmy awards for “Best Anchor” and “Best Hard News Story” in 2013. In 2012, he won two regional Edward R. Murrow awards for feature and hard news reporting and was also part of the WNBC team that won the Murrow for breaking news coverage of Hurricane Sandy in 2014. Llamas was honored with the prestigious “El” award by El Diario in 2012, the country’s oldest and largest Spanish-language newspaper. Before joining NBC4 New York in 2009, Llamas was based in Miami as a reporter for WTVJ/NBC6. From Blacksburg to report on the Virginia Tech massacre to Washington to cover Pope Benedict XVI’s 2008 trip, Llamas traveled all over the country and the Caribbean to deliver breaking news and investigative reports for the weekday newscasts. During his 4 years at the station, he covered eight Hurricanes, most notably traveling to Biloxi when Hurricane Katrina hit the Gulf Coast. In 2008, Llamas became the first and only TV journalist ever embedded with the Coast Guard during a human smuggling interdiction at sea. The Emmy award-winning story documented how Cuban refugees are smuggled into the U.S. via “Go-Fast” boats and the Coast Guard’s mission to intercept these vessels. Prior to joining WTVJ in 2005, Llamas worked for MSNBC as a political campaign reporter. Over the course of two years, Llamas traveled to over 40 states covering the Presidential campaigns of Sen. John Kerry and the Rev. Al Sharpton, and the Vice Presidential campaign of Sen. John Edwards. He shot, wrote, edited and reported live daily on the Democratic candidates for MSNBC, and contributed print reports and a daily blog for msnbc.com. Llamas began his career in broadcasting in New York with the NBC News Specials Unit during the 2000 Presidential election and then moved to MSNBC. In his first two years at MSNBC, he worked on coverage of the Sept. 11th attacks and the war with Afghanistan. Llamas was born and raised in Miami after his parents fled from Cuba during the 1960’s. He graduated from Loyola University in New Orleans with Bachelor of Arts degrees in both Broadcast Journalism and Drama and Speech. Llamas also completed a program at the University of Miami’s Institute for Cuban and Cuban-American Studies, which focused on Raul Castro and Cuban-American voters. He currently resides in Manhattan with his wife and daughter.